In this class we'll investigate the nuances of pink; from the saturated berry hues of celosia and cockscomb to the palest heirloom rose. Students will learn how to layer and combine color with flowers to create an ombre effect. Does pink have a better foil than the rich amber and sienna tones of October? We think not! 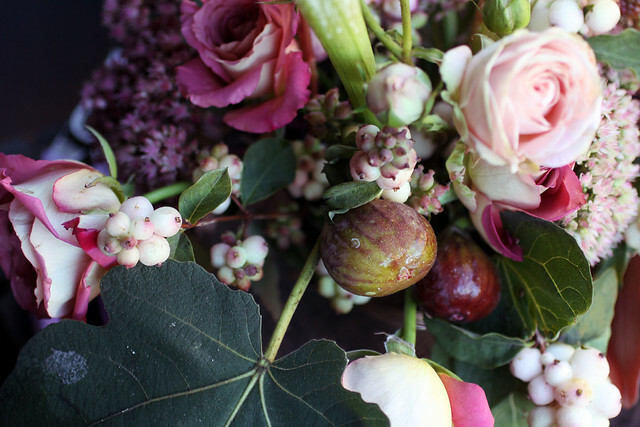 Featured in this class will be the last of the Califonia heirloom roses, pepperberry, autumn fruits, asian pear, sedum, carnations and maybe, just maybe, we'll have some tree peonies too! Open to all levels. The class will take place in the Saipua studio at 147 Van Dyke St, in Red Hook, Brooklyn.